I play Joe Oren for the gold tomorrow at 9:30AM. He is a fine player who is #1 in Israel in our age group. He and I have come across each other a couple of times at Senior Davis Cup matches although we have never played. I have been asked by my teammates what I am thinking about tonight and if I am nervous. My old story before big matches used to be that I would be edgy, nervous, worried and filled with obsessive and repetitive thoughts about the next day. I would often be focused on my opponent. I would worry that I wouldn’t play well. My story now is that I see big matches as opportunities to ignite the highest end of my talent and skills. How I play is mostly unrelated to my opponent as I know that I can be Bob on the court no matter what he is doing. That doesn’t mean that I can have total control of the outer game, the contest of who wins the points. 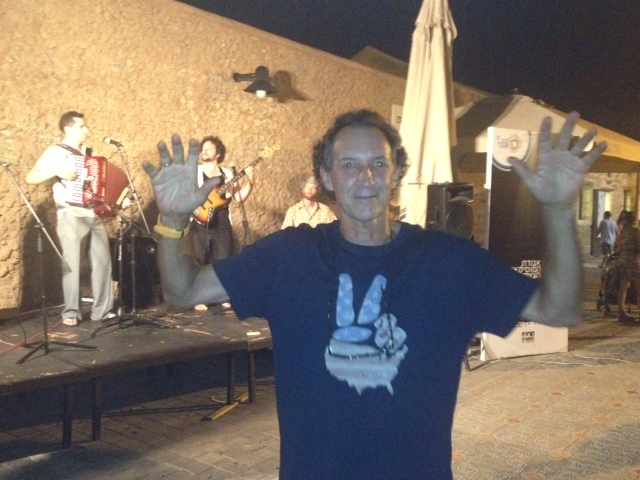 It means that I can be in control of the inner Bob…in the present, calm, excited about the challenges of competition. I control my fighting spirit and my willingness to face the obstacles. I am in control of solving problems as they come and can adapt to the liquidity of the way matches unfold. I have many tools in my box to keep me competing for each and every point. I play with dignity and class. I respect my opponent and hope that he plays a good match. I always can be Bob and that will just have to be good enough. Winning may come as a result. A few years ago it was the night before a National final and I had a great realization. The next morning I would be going out to play tennis against a buddy of mine for the Championship. I thought about if I had made a game for myself for a Sunday morning I would have called someone like him with whom I would practice and play. I would want him to play well to have the best possible time. I would, of course, prefer to win but that either way it would be a fun Sunday morning time on the court. I realized that that was just how I needed to think of the Championship. A fun hit on a Sunday morning with a good friend. That changed me as a player. The next morning I went out and played the Final as if it were just that. I won easily. 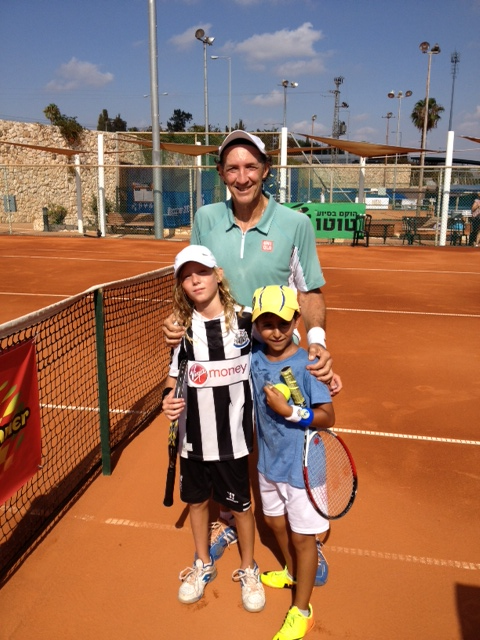 Tomorrow will be a fun couple of hours of tennis with a good guy on the beautiful red clay courts at Ramat Hasharon. I can see how well prepared you are, mentally and physically. My best wishes to you in the final round! Watch the ball, and bend your knees, and mostly smile. I have full confidence in you thar you will bring home the gold. a trip full of experiences to remember for you and JoAnn, for all your days. Cap it off by finishing a personal mission. and bring home a gold medal. With your undaunted spirit, profound optimism and extreme focus, there can be no other outcome but a Gold Medal……and if not, we will still be in awe of your spectacular achievements on the court…and off. Wow! How exciting! So happy you are going for the gold! Can’t wait to hear about your finals match!